“A marvelous journey into both history and imagination…A perfectly compelling and fast-paced story” (San Francisco Chronicle) from Ron Hansen about an iconic American criminal of the old West: legendary outlaw, Billy the Kid. Born Henry McCarty, Billy the Kid was a diminutive, charming, blond-haired young man who, growing up in New York, Kansas, and later New Mexico, demonstrated a precocious dexterity at firing six-shooters with either hand—a skill that both got him into and out of trouble and that turned him into an American legend of the old West. He was smart, well-spoken, attractive to both white and Mexican women, a good dancer, and a man with a nose for money, horses, and trouble. His spree of crimes and murders has been immortalized in dime westerns, novels, and movies. But the whole story of his short, epically violent life has never been told as it has been here. “The Kid’s story has been told many times. But not like this” (The New York Times Book Review). In his incredible novel, Ron Hansen showcases his masterful research and inimitable style as he breathes life into history, bringing readers back into the late 1800s and into Billy’s boyhood as a ranch hand just trying to wrest a fortune from an unforgiving landscape. We are with Billy in every gunfight and horse theft and get to know him in full before his grand death in a hail of bullets in 1881 at the age of twenty-one. Original, powerful, and swiftly told, The Kid is an “entertaining and lively…an excellent, transportive read” (Publishers Weekly, starred review). This reading group guide for The Kid includes an introduction, discussion questions, and ideas for enhancing your book club. The suggested questions are intended to help your reading group find new and interesting angles and topics for your discussion. We hope that these ideas will enrich your conversation and increase your enjoyment of the book. Billy the Kid’s spree of crimes and murders has been immortalized in dime westerns, novels, and movies. But the whole of his short, epically violent life has never been told as it is in The Kid. Ron Hansen showcases his masterful research and inimitable style as he breathes life into history, bringing readers back in time to the 1880s and Billy the Kid’s boyhood as a ranch hand trying to wrest a fortune from an unforgiving landscape. We are with Billy in every gunfight and horse theft and get to know him in full before his grand death in a hail of bullets in 1881 at the age of twenty-one. Original, powerful, and swiftly told, The Kid is an unforgettable read about a uniquely American antihero. 1. Ron Hansen opens the book with the line “You’ll want to know about his mother, she being crucial to the Kid’s becomings” (p. 1). Catherine McCarty, we soon learn, dies when the Kid is only fourteen years old. Would you agree that she plays a crucial role in Billy’s fate? In what ways does she influence him throughout his life? We also learn in the opening pages that the Kid’s father died before his mother did. How does the absence of a father shape the course of the Kid’s life? Why do you think Ron Hansen chose not to mention of Billy’s father in the opening line of the book? 2. Billy the Kid is an enduring icon of the Old West, but as we see early on, mythologies of gangsters and outlaws were already established before his own lifetime. During his first failed heist, the narrator notes the following: “‘We’ll fence it in Old Mexico,’ Henry said, having read the gangster lingo in the Five Cent Wide Awake Library” (p. 11). Can you find more examples of the Kid imitating or modeling himself after other outlaws or representations of outlaws? Does he seem more real or less real to you in these moments? 3. Do you think the Kid should be held responsible for the murder of Windy Cahill in chapter four? What would you have done if you had been in his shoes? 4. After spending a short while with the Kid, Harry Tunstall remarks, “The flames of intelligence gleam in your eyes” (p. 50). In what capacities do you find the Kid most intelligent? In what capacities is his intelligence lacking? 5. Revisit the Kid’s conversation with Alexander McSween on page 114. This scene ends with a misunderstanding between them. How do you think the Kid would have responded to McSween’s statement “I cannot conceive of a circumstance in which I would intentionally harm another human being”? Considering the way in which McSween dies shortly thereafter, would you call him foolish or admirable? 6. Carlota, Sallie, Celsa, Paulita—these are just some of the Kid’s romantic partners. Whom do you think he loved most truly? Who most truly loved him? 7. On a number of occasions, the Kid has a chance to leave thieving and outlawry for good. Why doesn’t he? On the other hand, he also turns down the invitation to join Jesse James (pp. 172–73). Why do you think he makes that choice? 8. Recall moments throughout the book when the Kid reflects on himself, his life, and his surroundings. How would you characterize his worldview? Is he an optimist? A cynic? A nihilist? A hedonist? Something else? 9. At one point, the narrator remarks, “Foxes have dens and birds have nests, but the Kid had nowhere to lay his head” (p. 171). Is the idea of home important to the Kid? What qualities would make a place feel like a home to him before he inevitably skedaddles? 10. How are Pat Garrett and the Kid similar to each other? Do you think, as far as rivals go, they’re well matched? 11. In what ways is the Kid a tragic figure? Does he deserve to be a scapegoat for the criminality of the Old West? Does the Kid remind you of other literary characters who must die in what Ash Upson and Pat Garrett would call “the interest of progress”? 12. Ron Hansen ends the novel with this line: “Like so many others, he stayed heard-about and famous because of books and movies that featured a Kid who’d become, to a great degree, each person’s wild invention” (p. 297). 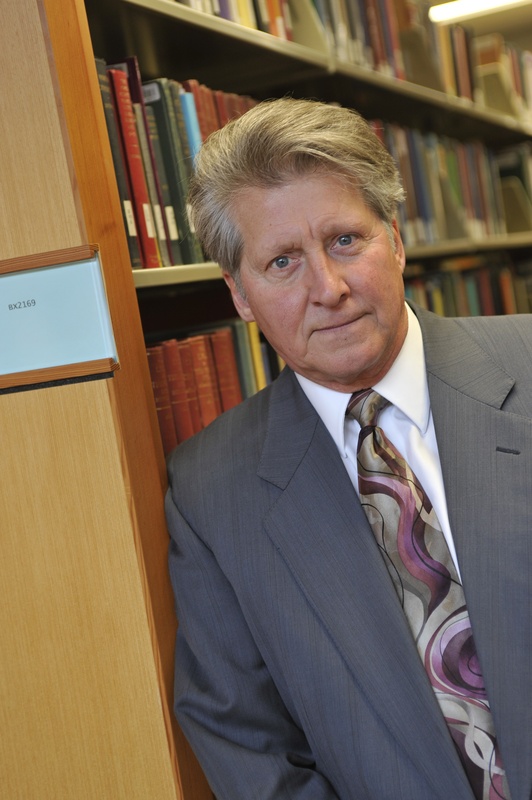 How would you characterize Hansen’s “wild invention” of Billy the Kid? In what ways has the novel influenced your own idea of who Billy the Kid was? 1. Billy the Kid remains well-known today thanks to his enduring appeal as a subject for writers and filmmakers. Watch Arthur Penn’s 1958 film The Left Handed Gun and Sam Peckinpah’s 1973 film Pat Garrett and Billy the Kid and compare their characterizations of the Kid with Ron Hansen’s. 2. Research photographs alleged to be of Billy the Kid. Does he look like you imagined he would? 3. Read one of Ron Hansen’s other novels set during a different era of the Old West, Desperadoes (1979) or The Assassination of Jesse James by the Coward Robert Ford (1983). How do the depictions of the frontier in those novels compare to the depictions in The Kid? "Hansen’s fictional treatment of Billy the Kid, the Old West killer, is entertaining and lively, a portrayal of swift and deadly frontier justice in the early 1880s of New Mexico. . . .Hansen’s colorful description of the New Mexico Territory as a lawless land of lying politicians and thieving businessmen is historically accurate, resulting in an excellent, transportive read." "Billy has been portrayed as a scapegoat for corrupt politicians, a maniacal killer and varying combinations of those extremes. As Hansen says at the end of his book, the Kid has become 'to a great degree each person’s wild invention.' This is Hansen’s version — a wisecracking daredevil." "Hansen has written a haunting biographical novel about Billy the Kid and the people responsible for creating the myth." "Throughout The Kid, the author’s depth of research and love of the genre shine through. This eventful novel builds on the extraordinary achievement of his first two westerns and Hansen can rightfully claim this lawless territory as his own....Fans of [his] work won’t want to leave." "An engrossing read. 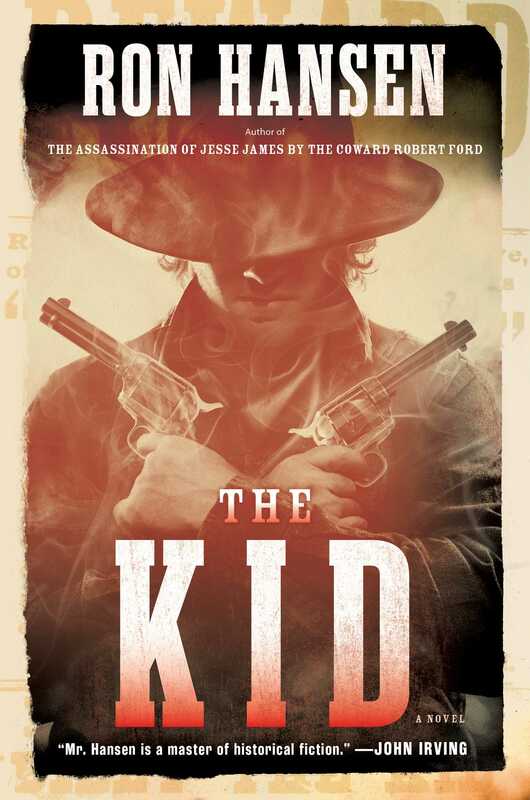 [The Kid] comes alive thanks to a blend of history, remembrances and the author’s knack for imagined conversations." "Mr. Hansen writes vigorously, and like an angel." "One of our finest novelists." "Ron Hansen has proven himself a master of the enigmatic, particularly that crack in the world between belief and reality." "Hansen writes with a sure hand about the inner lives of people struggling to find themselves in a confusing world. His prose is at once straightforward and seductive....we are mesmerized as riddles beget further riddles and layers of the story begin to peel away."